The CradlePoint CTR35 has been discontinued. No direct replacement is available. The CTR35 converts a 4G or 3G USB Data Modem into a secure 16-connection wireless network. It can also use traditional Cable/DSL Ethernet-based modems to create ~350-feet of Wi-Fi. Or use existing Wi-Fi to create a secure connection with an unsecure public hotspot. 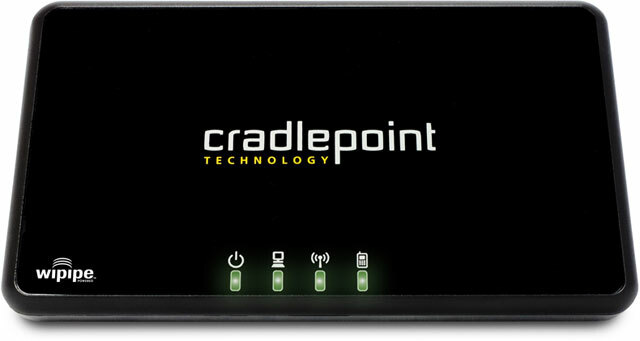 CradlePoint routers are built to work with the most popular 4G/3G USB Modems from wireless operators such as: AT & T, Bell Canada, Clearwire, Cricket, Rogers, Rover, Sprint, T-Mobile, Telus, US Cellular, Verizon Wireless (Alltel), & Virgin Mobile.